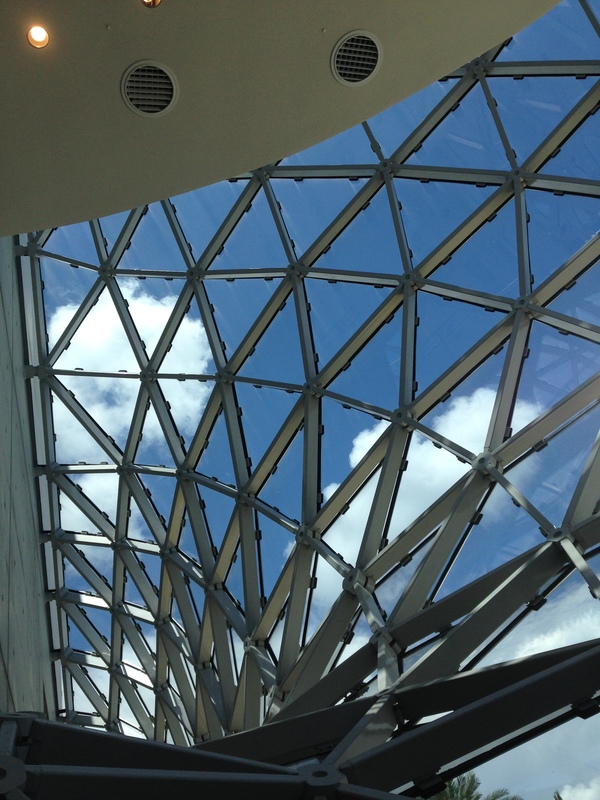 One of my favorite places is the Dali Museum in St. Petersburg, Florida. I have been going there since moving to Florida many years go. The art of Salvador Dali is fascinating, beautiful, intricate, multi-layered and more. 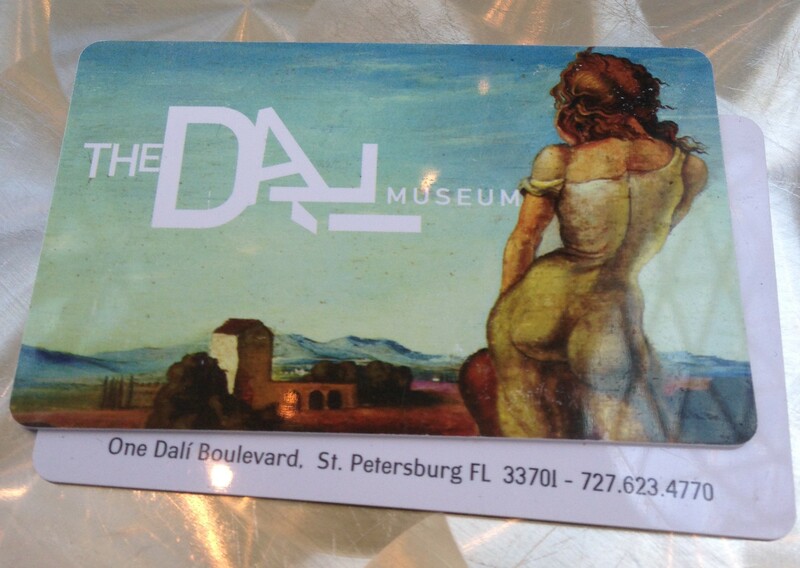 A trip to the Dali is a fun, relaxing, thought-provoking break from life. The membership cards one year featured my husbands favorite painting, Girl with Curls. The museum moved into a new space a few years ago. 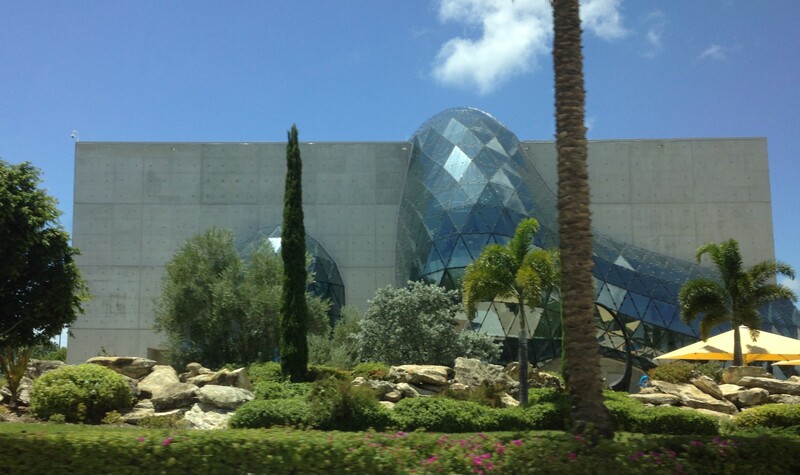 The building itself is a work of art. 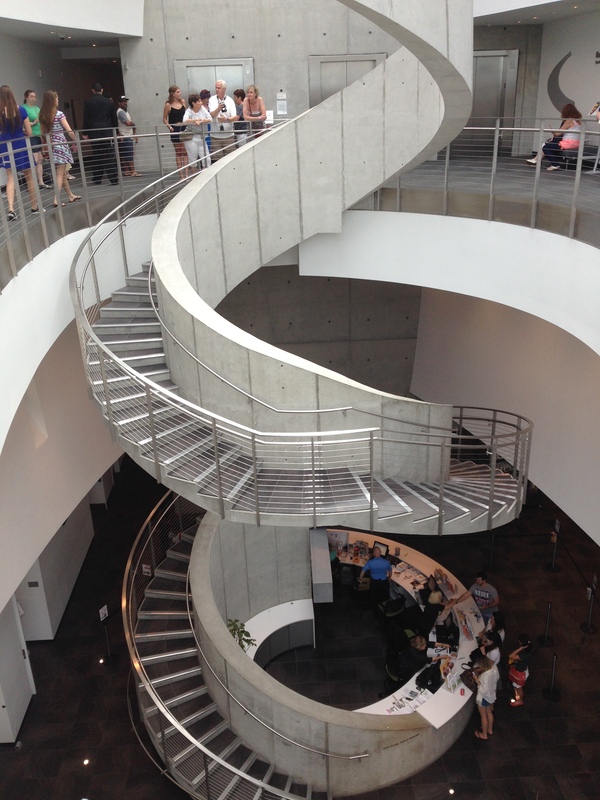 And inside the spiral staircase leads up to the galleries and the galaxy beyond….. The view at the top……. And a peek at the surrounding area. 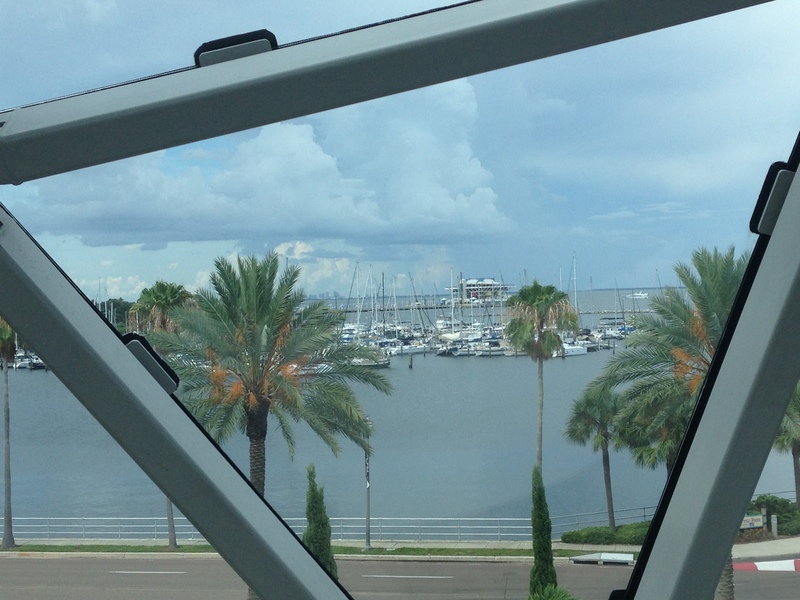 St. Petersburg has so much to offer! 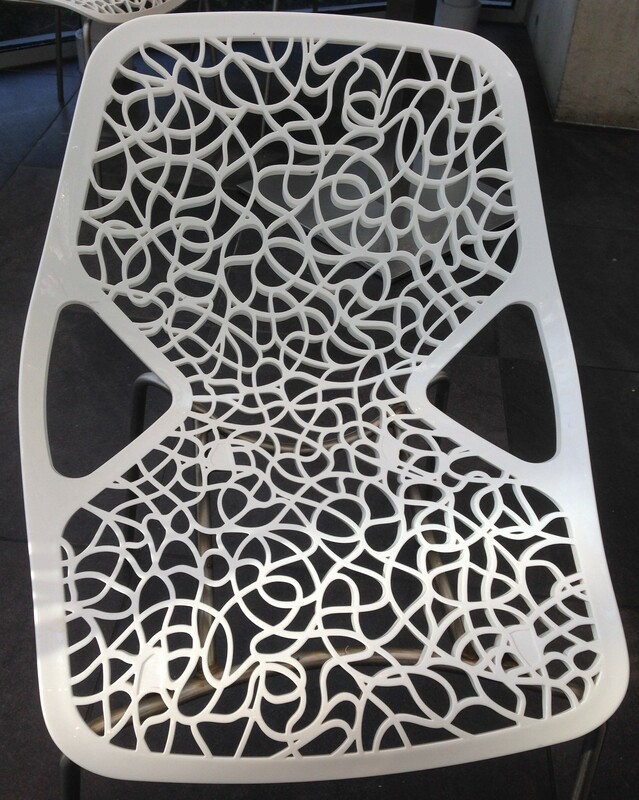 Our first stop was Cafe Gala, where they have fabulous espresso…..
And I get a kick out of the chairs…. I have this print in my bedroom, to remind me that oftentimes things are not as they seem. The regular exhibit was fun as always. We did the audio tour, which gives insight into a selection of the works on display. I wish the tour included all of the pieces, but it would become a marathon at that point, I suppose. 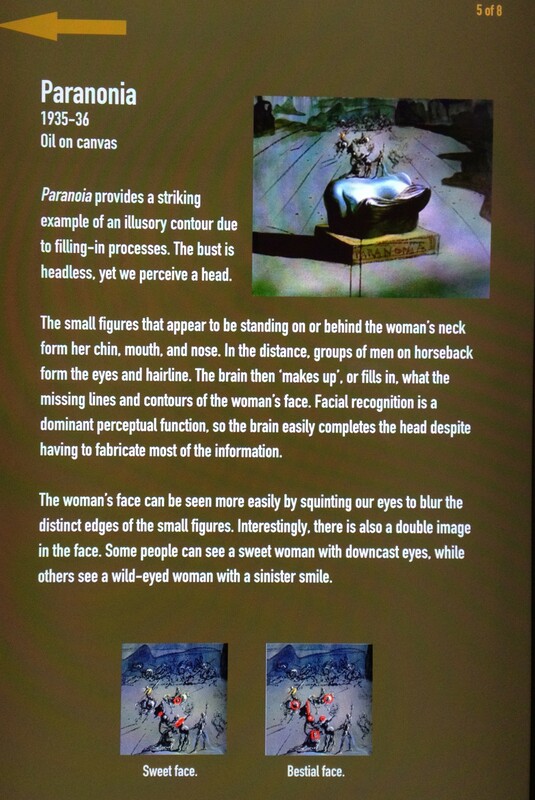 Every time we go the exhibit is a little different as pieces rotate in and out to other museums. But even the pieces that I’ve seen more times than I can count still fascinate…there are always new details that a fresh look finds. These works are so intricate and layered that it is easy to lose track of time, contemplating the skill and creativity involved as well as exploring the canvas for all the hidden detail and meaning. And new exhibits rotate in every few months in an adjacent gallery. If you’ve never experienced the art of Salvador Dali, the St. Pete museum website is wonderful, and a good place to start is on their exhibit page.